Even though it's one of the simplest desserts in the French baking repertoire, a homemade galette is always an impressive creation. This rustic tart is sure to dazzle your guests, when served with afternoon tea or as the last course at a dinner party. My recipe calls for organic fruit, ideally from the farmers' market. The rich buttery, flaky crust is the perfect complement to delicate, aromatic peaches. There's only one teaspoon of sugar in the entire recipe, which makes this galette relatively healthful. 1.) Preheat the oven to 375 degrees Fahrenheit. Line a baking pan with parchment paper or use a silicone baking sheet. 2.) In a bowl, combine the flour, sugar and salt. Stir with a spoon to blend the dry ingredients. 3.) Cut the butter into small pieces. Work it into the dry ingredients using your hands, until the mixture looks like sand with tiny pebbles. 4.) Add enough water to make the dough come together into a ball (it should not be too moist or sticky). Then knead the dough gently for a few seconds. Do not over-work the dough (if you do, it will be tough instead of flaky). 5.) Roll out the dough on a clean smooth surface until the dough is about 1/4 inch thick. 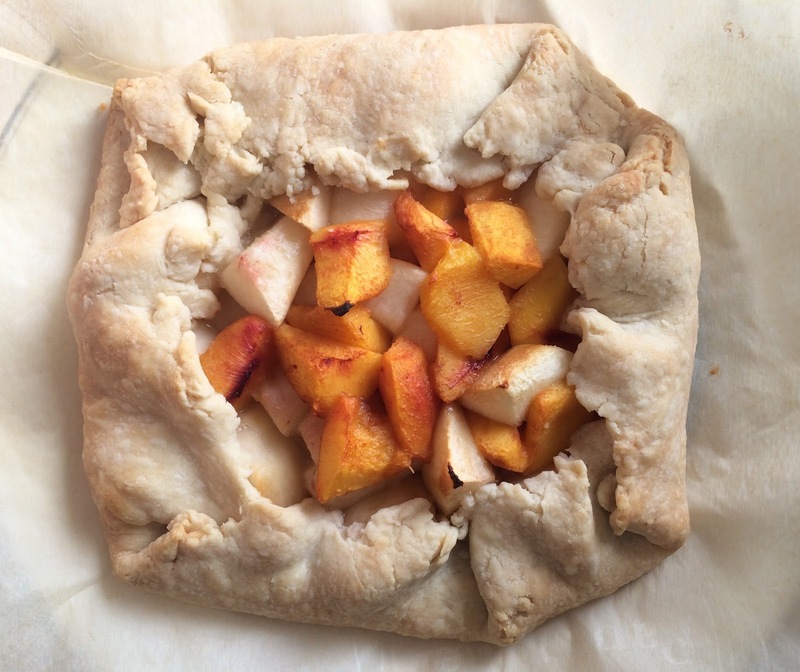 Keep the shape irregular, since this is a rustic-style galette. Place the dough onto the lined baking sheet. 6.) 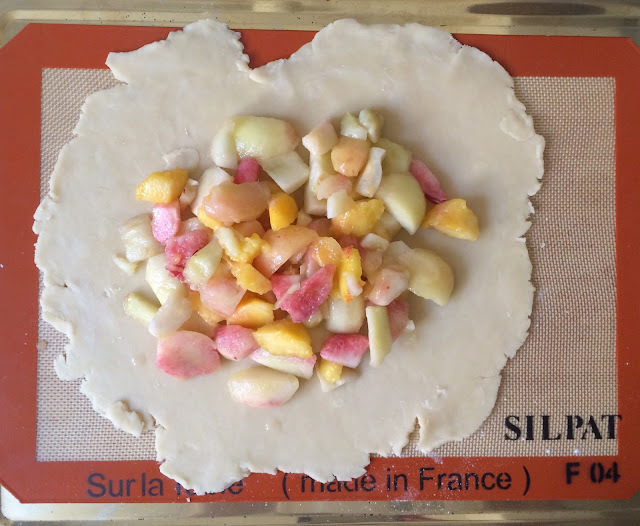 Place the pieces of peaches into the center of the dough. 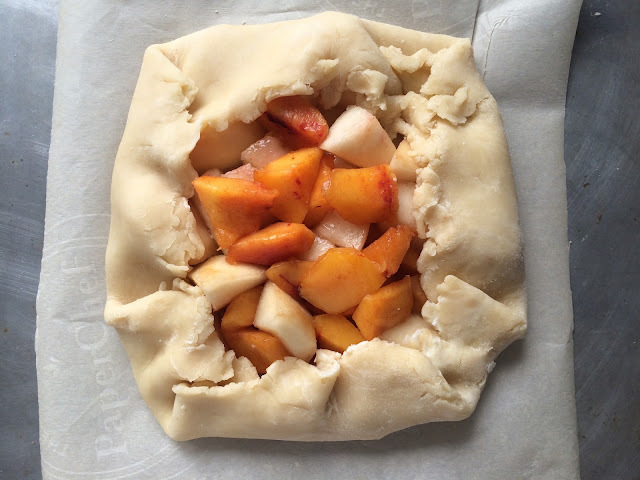 Fold the edges of the dough over, to surround the peaches. 7.) 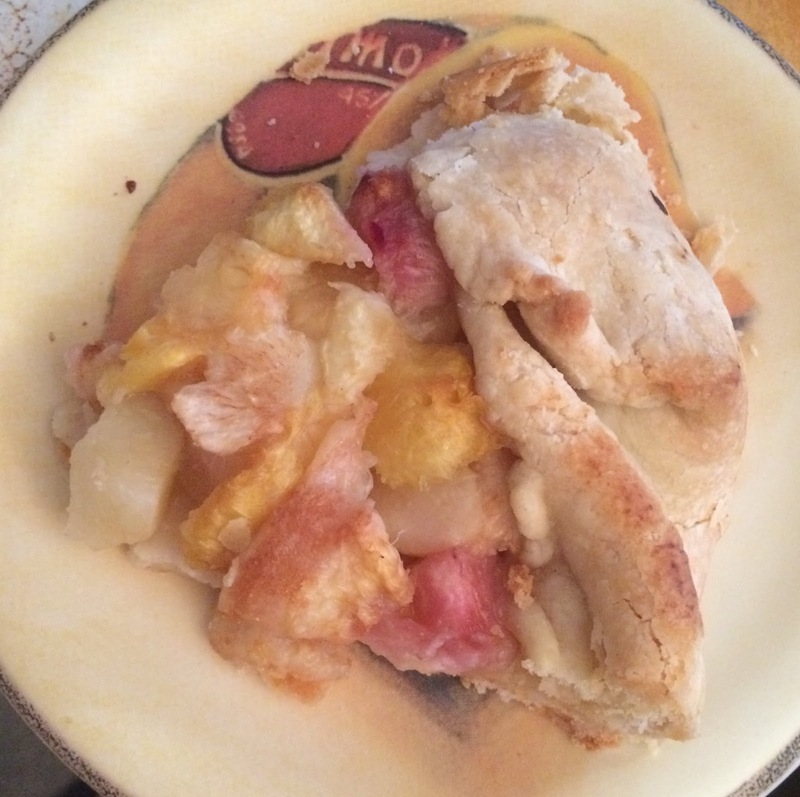 Bake for about 30 to 40 minutes or until the dough is golden brown and until the peach juice has turned into the consistency of jam. Serving Suggestion: Serve the galette warm or at room temperature. 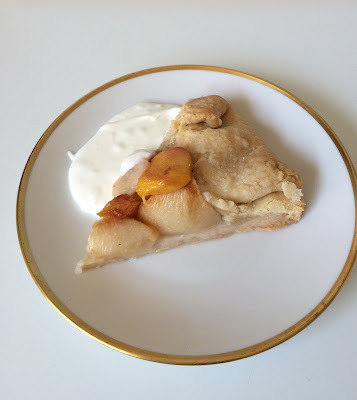 It's also delicious with with whipped cream or crème fraîche. Wine Pairing Tip: This dessert is absolutely perfect paired with vintage Reisling wine from the Alsace region of France.